Stuffed vegetables are very popular in Georgia and often form part of a traditional supra (feast). 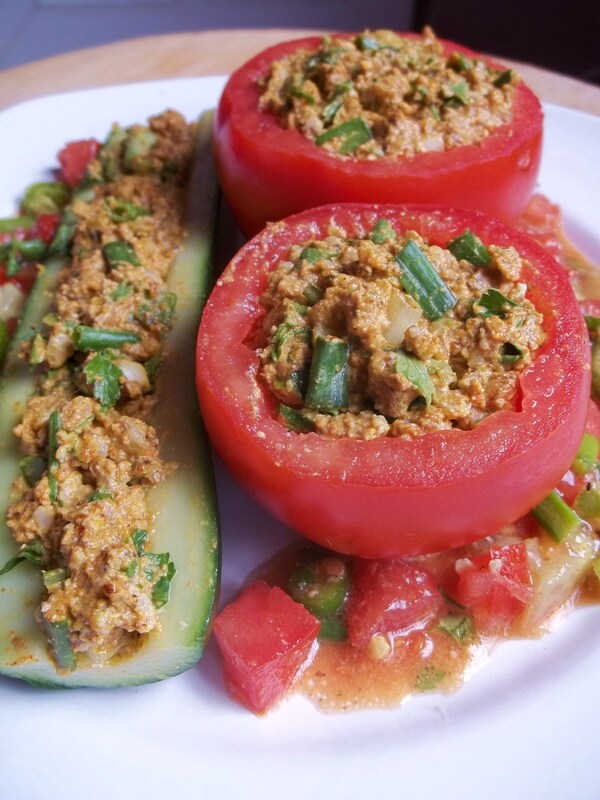 In this recipe we show how to make a spicy nut filling for tomatoes and cucumbers. 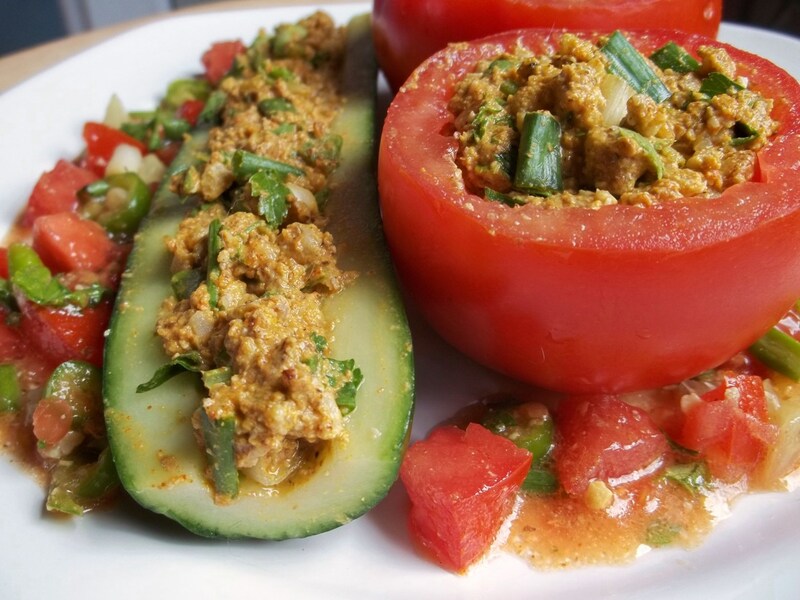 Ingredients: 2 tomatoes, 2 cucumbers, 200 grams of walnuts, 1 clove of garlic, 1 level tsp of blue fenugreek, 1 level tsp of dried coriander, 1 level tsp of dried marigold, 1 level tsp of dried red pepper, 6 green onions, 30 grams of parsley, 1 green pepper, 1 tsb of oil, 2 tbs of white wine vinegar, and salt (amount dependent upon personal preference). 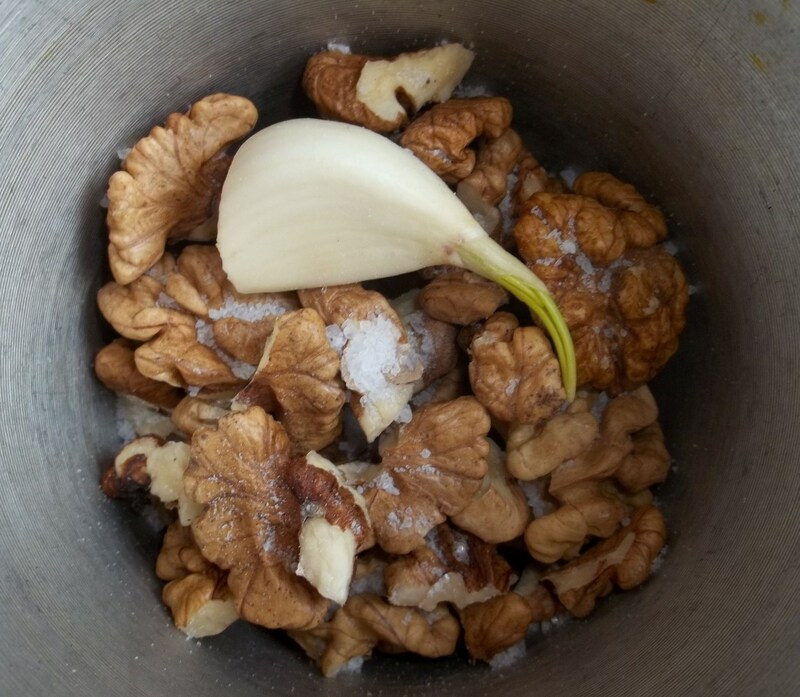 Preparation (stuffing): Crush the walnuts and garlic together (we used a mortar and pestle). 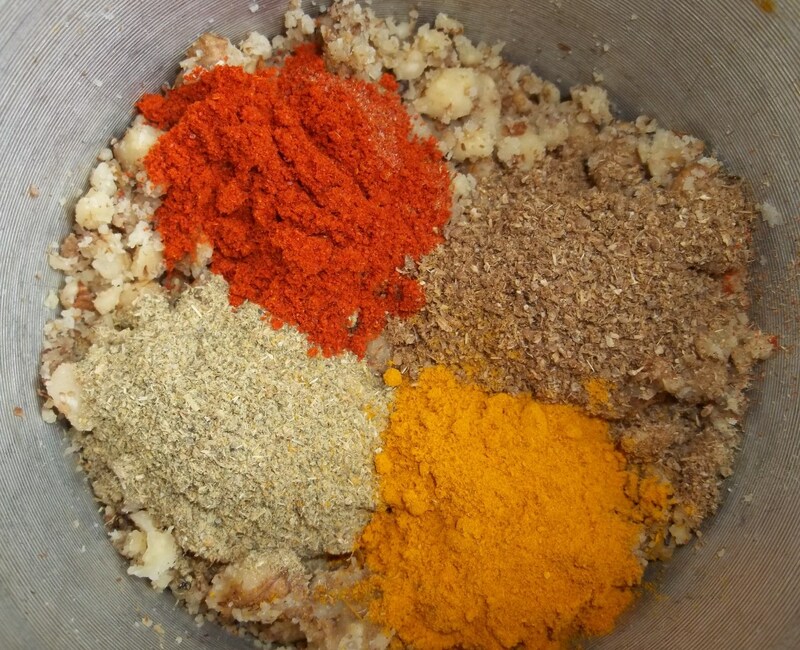 Add 1 level tsp of blue fenugreek, 1 level tsp of dried coriander, 1 level tsp of dried marigold, 1 level tsp of dried red pepper. Crush and squash together with the nuts and garlic. Transfer the nut mixture to a mixing bowl. 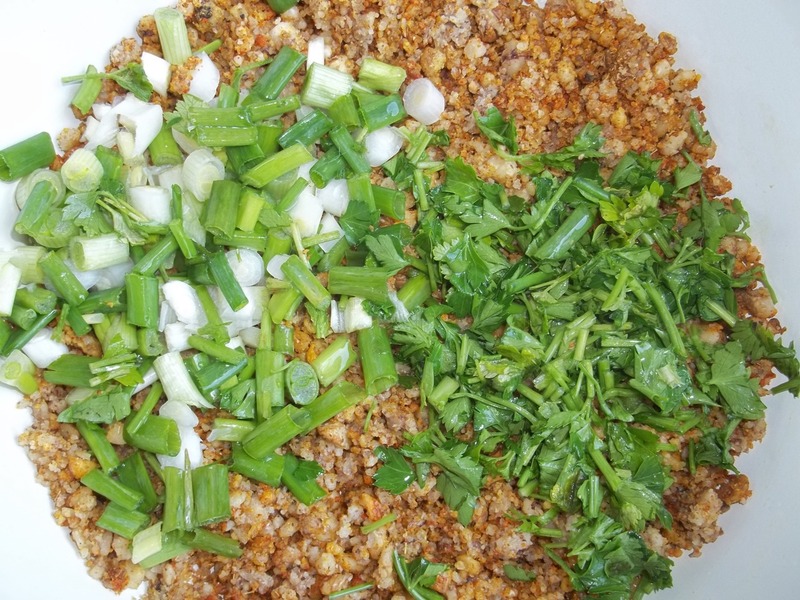 Chop 3 green onions and 15 grams parsley and add to the bowl. Add 2 tbs of white wine vinegar and mix thoroughly with a wooden spoon. 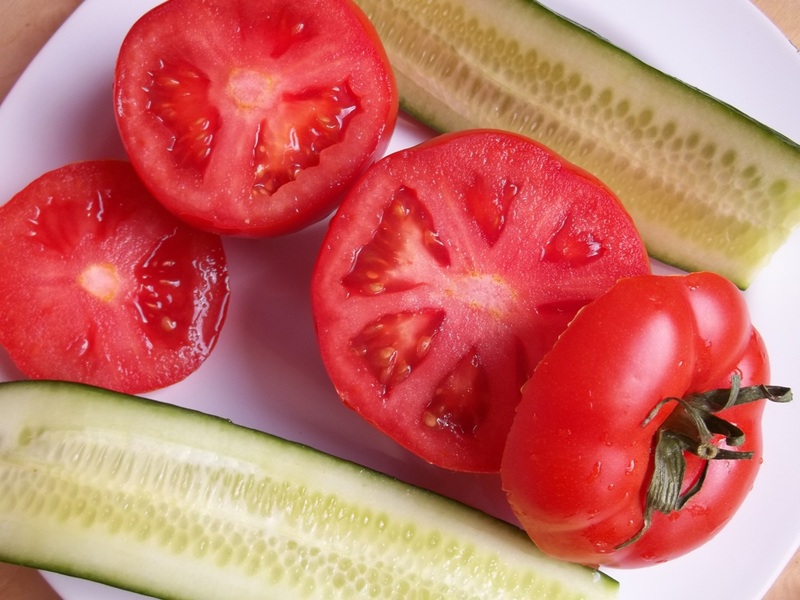 Slice the cucumbers in half and slice the top off of the tomatoes. Keep the tops of the tomatoes for the side salad. 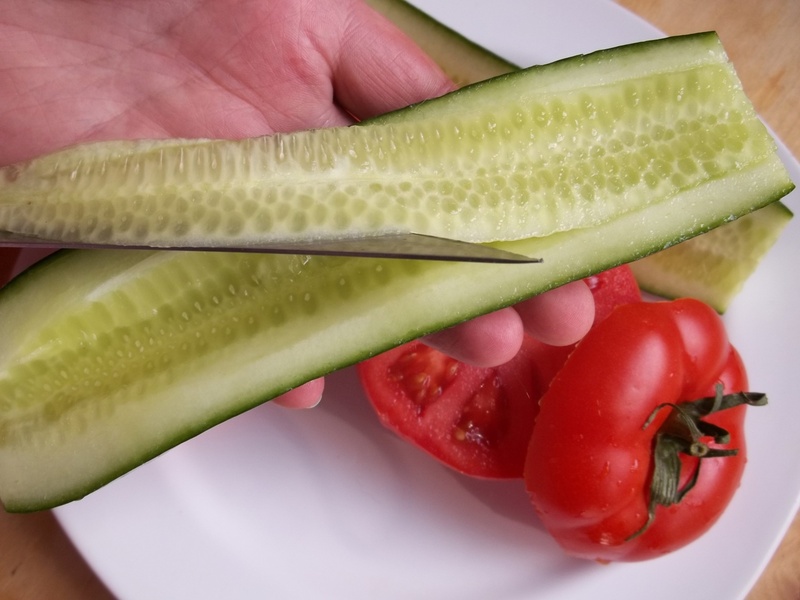 Use a knife or spoon to remove the inside of the cucumber. Put the inner part of the cucumber in a mixing bowl (for use in the side salad). 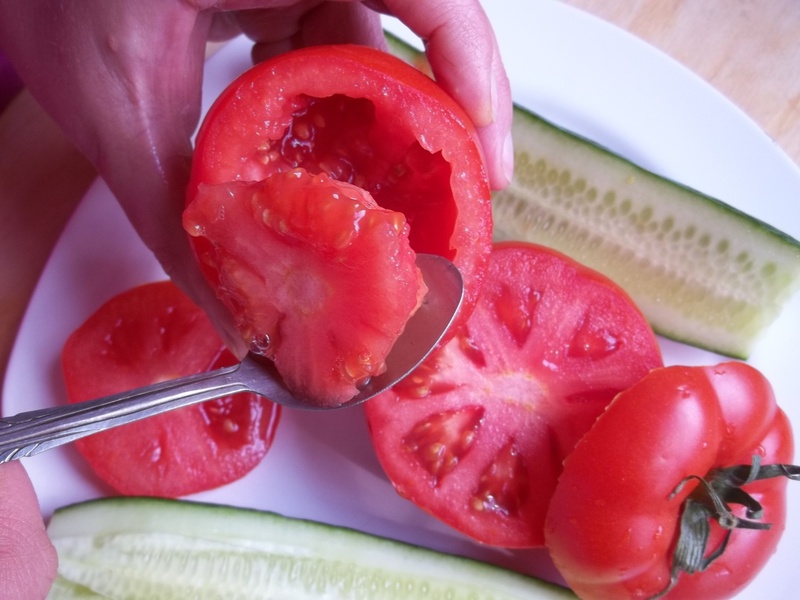 Use a spoon to remove the pulp from the tomatoes and put the pulp in the mixing bowl that will be used to make the side salad. 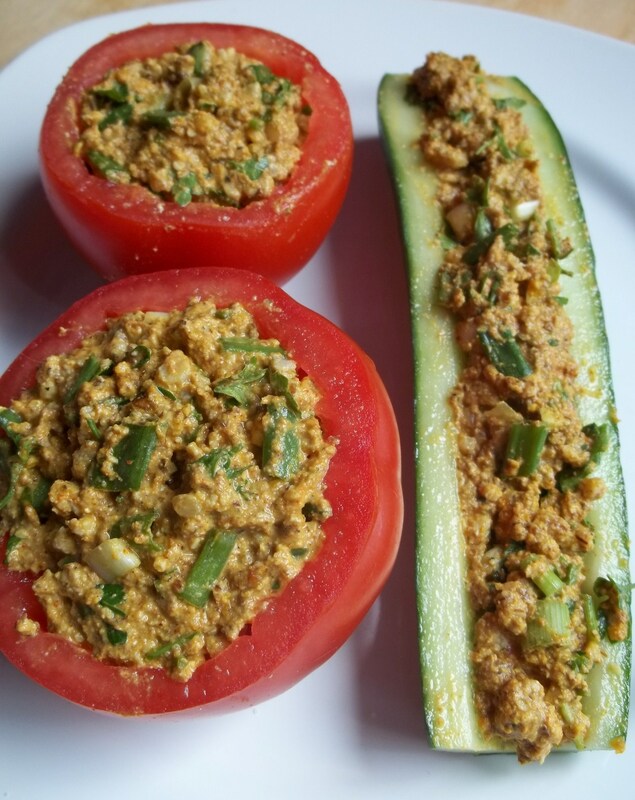 Stuff the tomatoes and cucumber with the nut mixture. 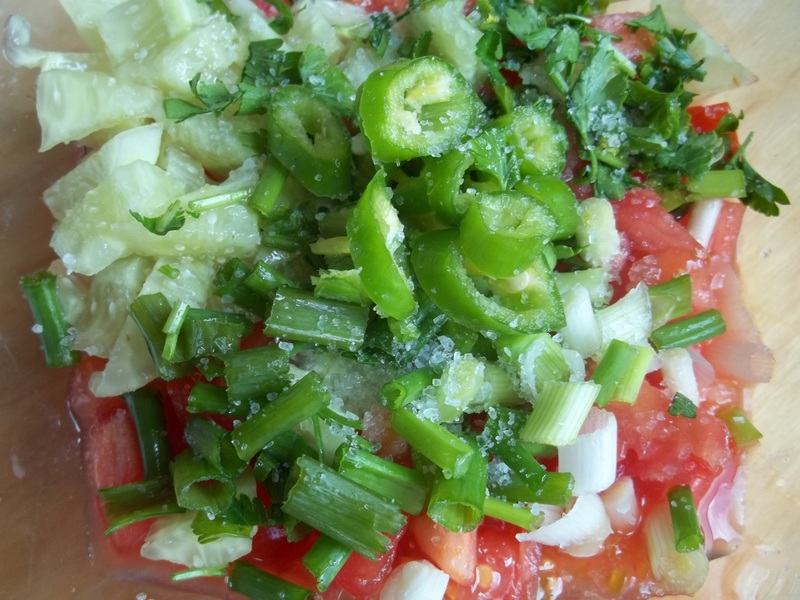 Preparation (side salad): Chop 3 green onions, 1 green pepper and 15 grams of parsley and add to the mixing bowl containing the insides of the tomatoes and cucumbers. Add salt and 1 tbs of oil. Add any remaining crushed walnut mixture left over from stuffing the tomatoes and cucumber and stir thoroughly. Serving: Serve cold with the side salad.